Since a severe flood disaster occurred in Sri Lanka in late May 2017, ICHARM has been supporting the country by providing information for flood management, based on research outputs that ICHARM has achieved on rainfall and flood forecasting and inundation analysis. In addition, as the secretariat of the International Flood Initiative (IFI), ICHARM is also assisting the countries that are suffering from serious flood disasters in establishing a platform on water resilience and disasters. On August 24, 2017, as part of these supporting efforts, the “Plenary Session for the Platform on Water and Disasters” was held in Colombo, Sri Lanka, for the first time. On March 28, 2018, the stakeholders including ICHARM met again at the “Plenary Session for the Platform on Water Resilience and Disasters,” which was slightly renamed subsequent to the first meeting. The session was attended by about 30 Sri Lankan participants from the Irrigation Department, the National Building Research Organization (NBRO), and the Disaster Management Center (DMC), including honourable guests such as Hon. Minister Gamini Wijith Wijayamuni Zoysa, the ministry of the Irrigation and Water Resources Management, Eng. 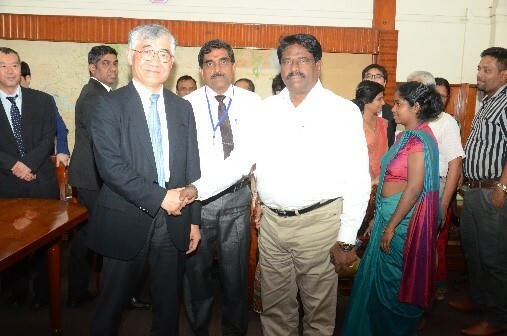 S. Moharanarajah, the director general of the Irrigation Department, and Dr. Asiri Karunawardena, the director general of NBRO. 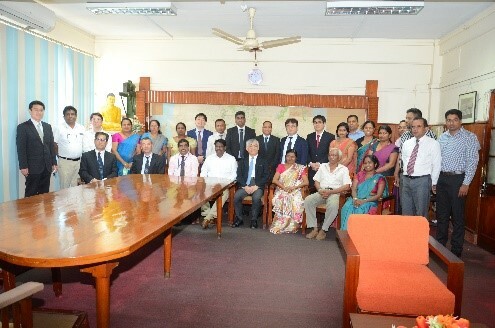 At the opening, ICHARM Director Toshio Koike introduced the outcome document of the High-Level Panel on Water, which was jointly released by the United Nations and the World Bank in March 2018 and highlights Platforms of Water Resilience and Disasters, an ongoing project undertaken in Sri Lanka. Hon. Minister Wijayamuni Zoysa has emphasized the importance of flood control and water resources management at the river basin level. He also expressed his gratitude to ICHARM for the support, and addressed his expectations for further cooperation. DG of Irrigation, Eng. S. Moharanarajah, pointed out that Sri Lanka is vulnerable to water-related disasters such as floods and droughts and thus it has been frequently suffering from the serious human and economic losses in recent years. He expected that the platform will help the country to solve such problems by gathering the efforts of national organizations concerned with water-related disasters. Subsequently, Prof. Naoyuki Yoshino, the dean of the Asian Development Bank Institute, gave a special lecture entitled as “An Empirical Analysis of Disasters on Regional Economy”. After that ICHARM researchers presented their research outputs that ICHARM has achieved on climate change research, ensemble rainfall prediction, flood forecasting, contingency planning, and data management. The Sri Lankan counterparts, representing the Irrigation Department, NBRO and DMC, have expressed their expectations on the platform and their future plans for disaster risk reduction. The participants joined the discussions in the latter half of the session. Many useful opinions were expressed, including a suggestion that professional organizations that are specialized in economy and statistics should be invited to the platform. Important decisions were also made. All the participants agreed on the proposed data sharing guidelines, the assignment of the coordinators of the platform, and the nomination of the focal point from each organization for smooth coordination of future activities led by the platform. At the end of the session, Dr. Asiri Karunawardena made a closing remark by emphasizing the importance of flood damage mitigation through the concerted effort of the platform. As the flood season is approaching in Sri Lanka, ICHARM will continue its supports by providing useful information for flood management in Sri Lanka.